The Okna 700 series is the company's casement window option. Standard features include a multi-point locking system, a stylish folding crank handle, a beveled sash and frame, triple weatherstripping, heatseal spacer, fiberglass mesh screen. The casement window opens a full 90 degrees to allow for easier cleaning and maximum open space. Consumers can choose from 8 exterior frame colors (including some nice dark options that include a bronze, terra brown and basic brown) and three interior colors, including almond, cocoa and white. Interior laminates (essentially faux wood textures) include a natural option, cognac, dark oak, winchester, and melrose cherry. The Okna casement window is available in a number of different hardware options, including brushed nickel, adobe gray, matte bronze and antique brass. All in all, the Okna 700 casement window is an excellent window, well made and constructed and certainly one that tops our list for the best casement window on the market. If you can find a local dealer and get a reasonable or competitive price on this casement, buy it. Consumers can expect the Okna 700 window prices to run approximately $60 to $70 per square foot for the window itself, almost identical in price to the Okna EnviroStar window. Comparably priced windows include the Amerimax Aristocrat Casement windows and Ecosmart window costs. The standard Okna 700 casement will deliver a U-factor of .26, .03 AI and an SHGC of .27. Upgrade to the Deluxe option, which includes foam-filled insulation, argon fills, and low-e glass, and expect a U-factor of .19, an SHGC of .22 and a visible transmittance of .35. These are excellent numbers, but then what would you expect from Okna. In truth, all of their window models and series deliver excellent numbers. 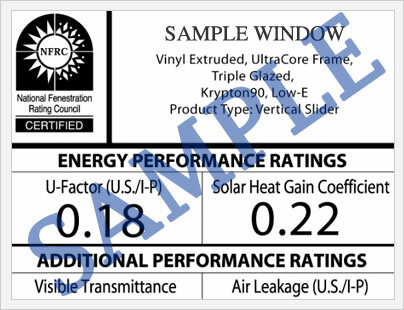 These performance numbers come from the nfrc.org, which posts performance data from hundreds of top window and door manufacturers. The Okna 700 includes a lifetime warranty that covers the frame & sash for the homeowner's lifetime. The insulated glass units are covered for the homeowner's lifetime, as well as the hardware. (Hardware near the coast is only covered for a period of 10 years). The 700 model warranty is fully transferable to another homeowner. 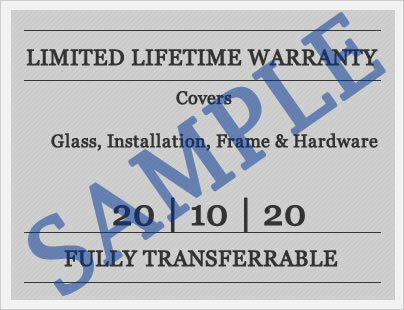 As always, there are exclusions to the warranty that consumers should thoroughly read and understand before they purchase their windows. The installation labor costs is not covered under the terms of the warranty. Do you have an Okna 700 casement window review from your past experience with the company or the window itself. If so, please let us know and help other consumers make the best decision for their next home improvement project? Questions about this casement window? How the crank handle works, the frame depth, etc.? Our site editors can answer your questions on this or any replacement window you may be considering. Which window is Best Buy? Okna 700 or Vytex Fortis Casement. Got bid for 22 Windows - 14,500 for Vytex, 12,000 for Okna. Samuel, the Okna 700 is the better window, no questions asked. Vytex is not a bad window at all, however, the fact that it is less expensive makes this answer easy - go with the Okna! I am buying 40 replacement casements. 36 x 64. I am down to Okna 700 Deluxe or Sunrise Restorations windows. I have never seen them side by side, which is the thinner frame/look? Which is stronger (I live near ocean/VA Beach)? Okna's $22k, Sunrise $25K. Which should I get? Rich, the Sunrise Restorations has one of the thinner frames out there on a top tier vinyl window and alot of consumers really like this. I happen to like the overall look of the Oknas just a bit better. Both Sunrise and Okna are great windows, but I would lean towards the Oknas myself. I feel like they get the edge in terms of construction and performance. Once they are in, you won't notice the slightly thicker frame, unless this is really important to you. In that case, go with the Restorations. Either way, you are getting a fantastic window at what looks to be a very competitive price.